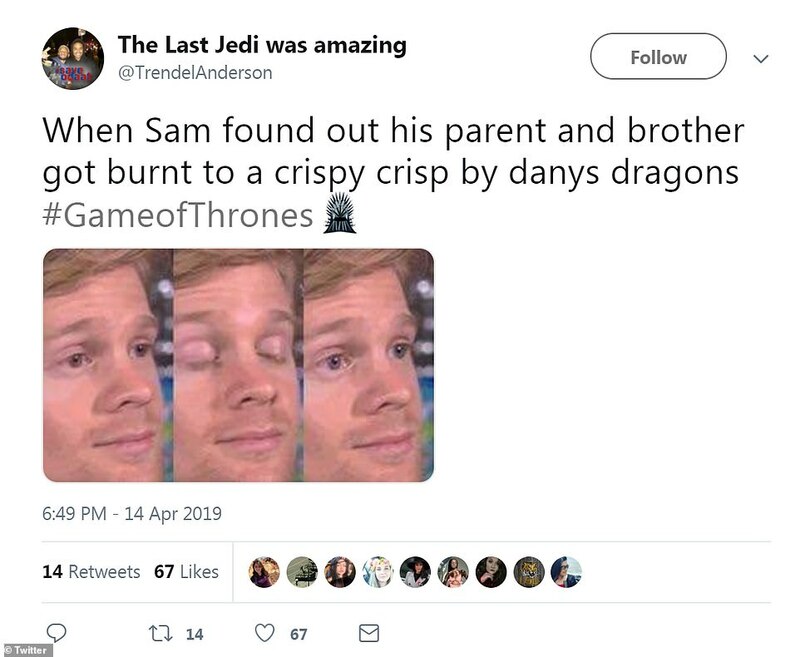 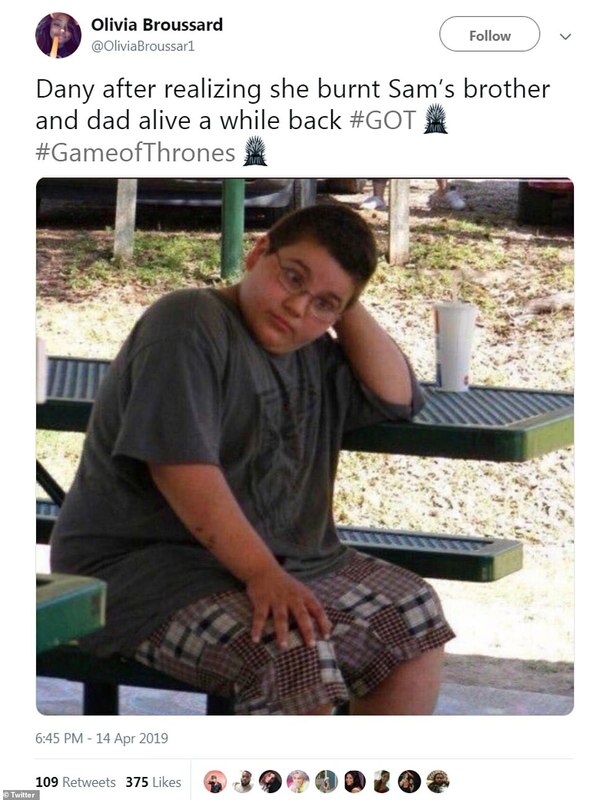 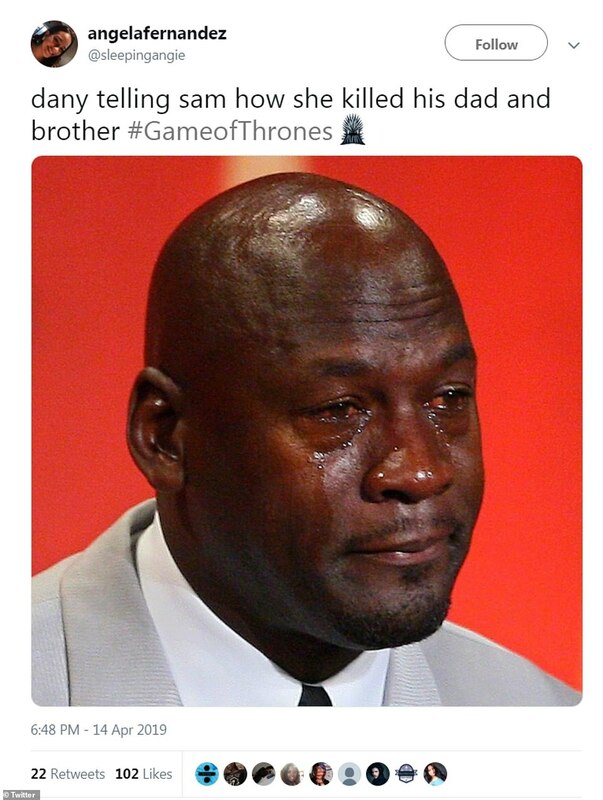 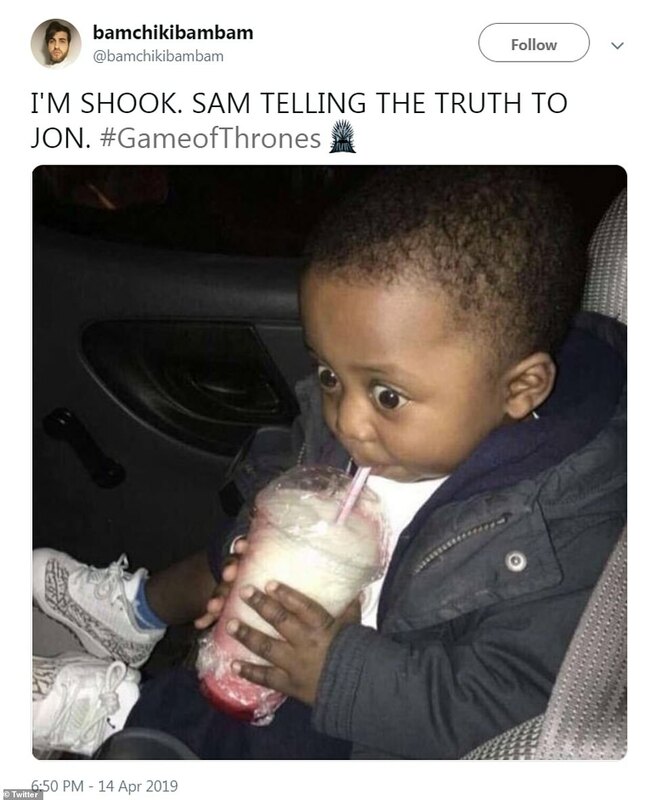 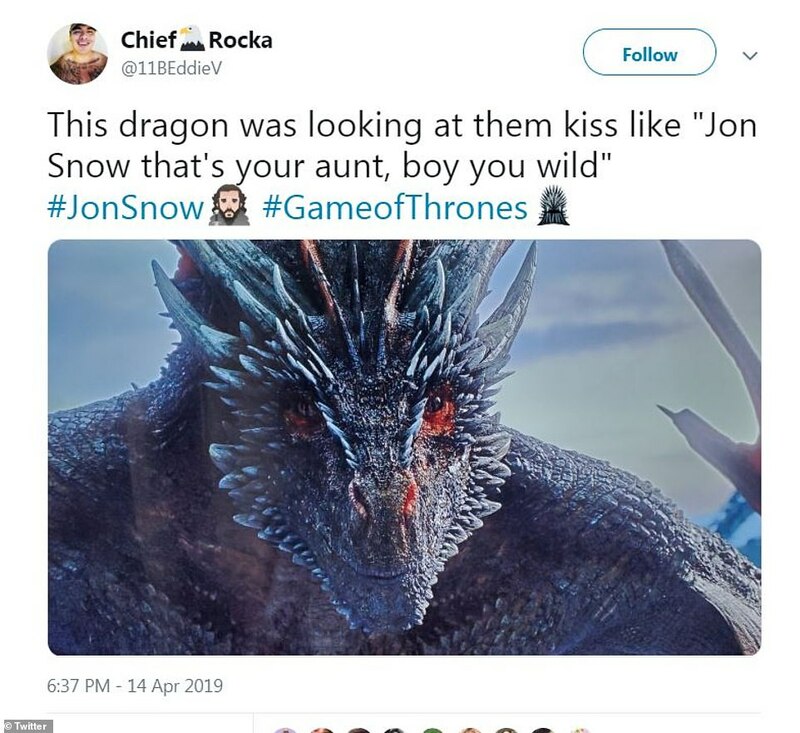 And Twitter users were quick to poke fun at the complicated situation -which saw Jon’s friend Sam reveal that his new love Daenerys Targaryen is technically his blood relative. 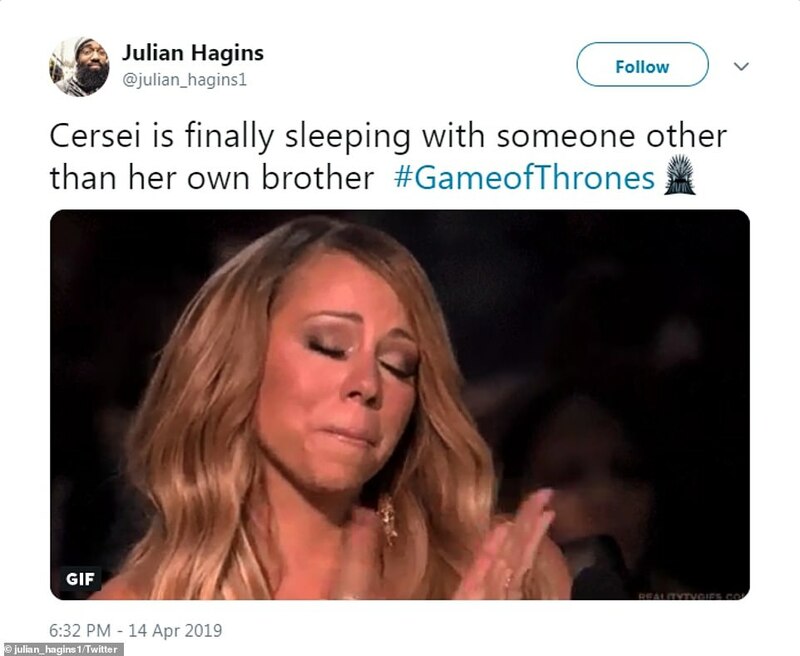 However few had anticipated that Jon would sleep with Daenerys – who is technically his aunt- at the end of the previous season. 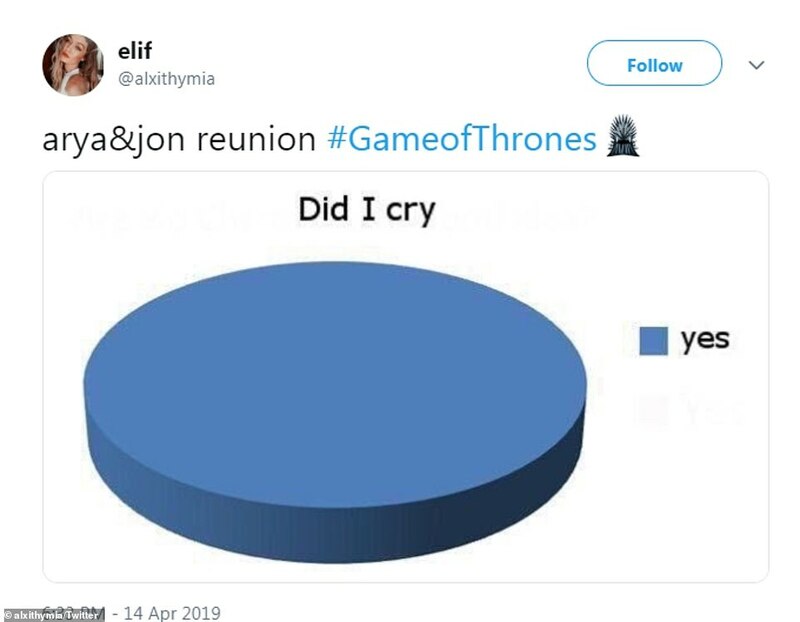 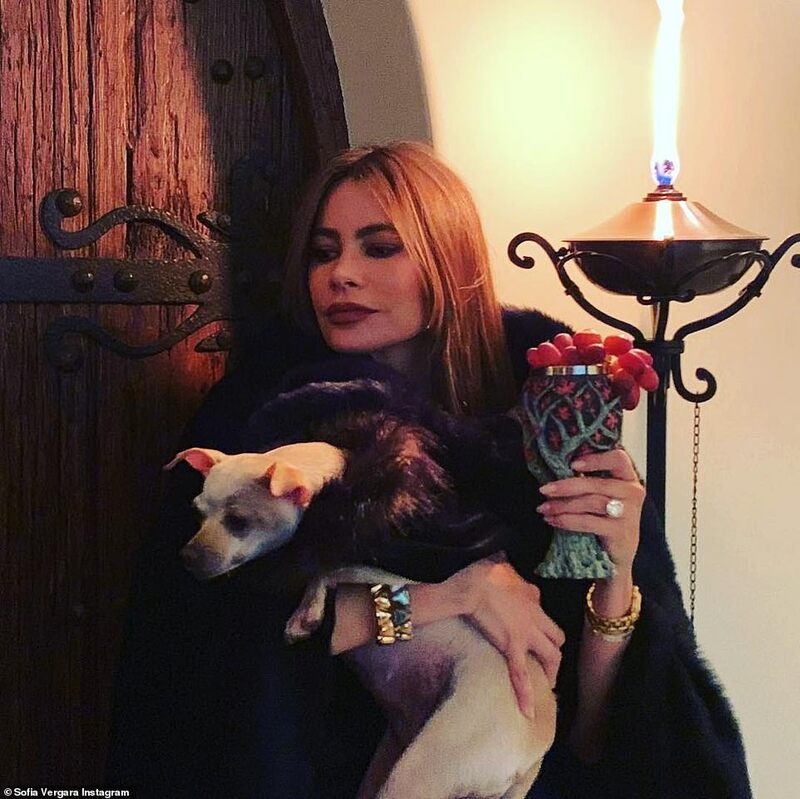 Apart from of course ‘Game Of Thrones’, other trending topics on Sunday night included ‘Bran’, ‘Sansa’, ‘Dany’, ‘Jaime’ and ‘Cersei’. 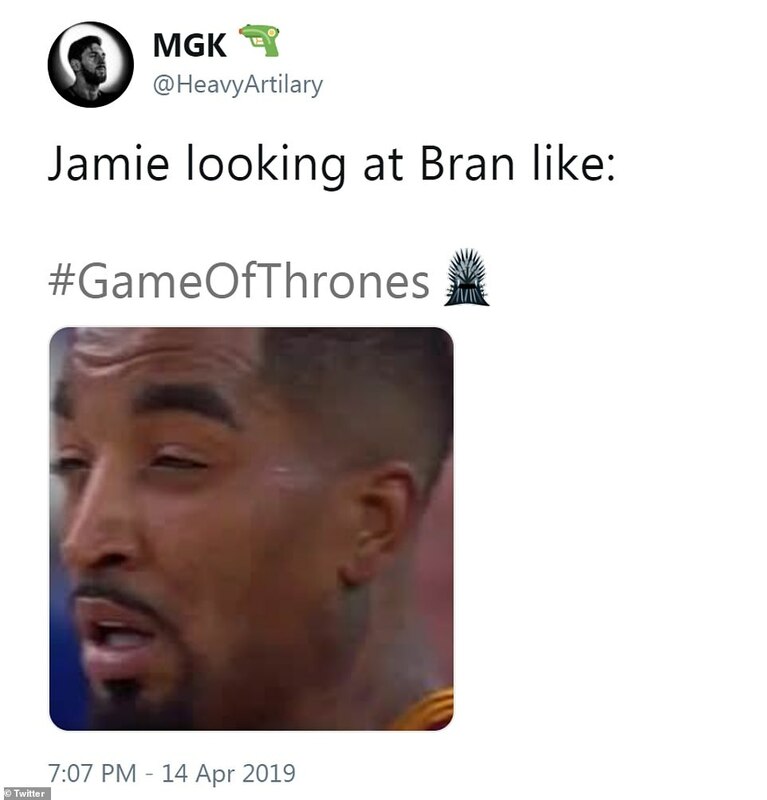 There had been over 472,000 tweets featuring the word ‘Bran’ alone. 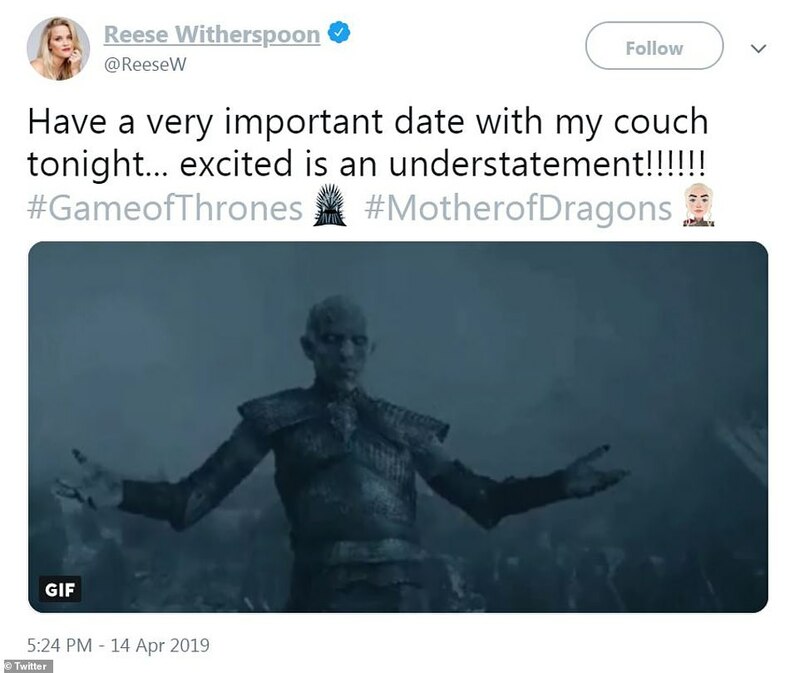 ‘Have a very important date with my couch tonight… excited is an understatement!!!!! 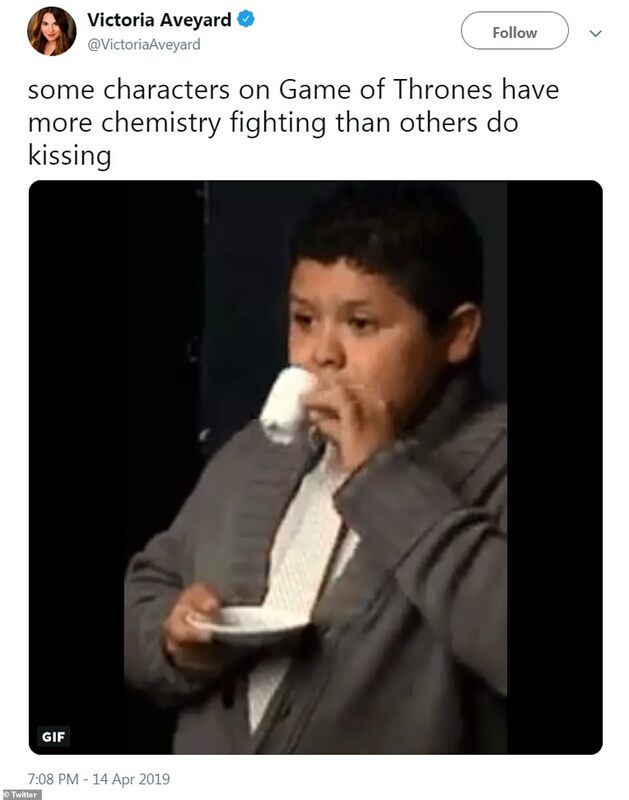 !’ wrote the Academy Award-winning actress, accompanied by a hilarious GIF of the villainous Night’s King dancing. 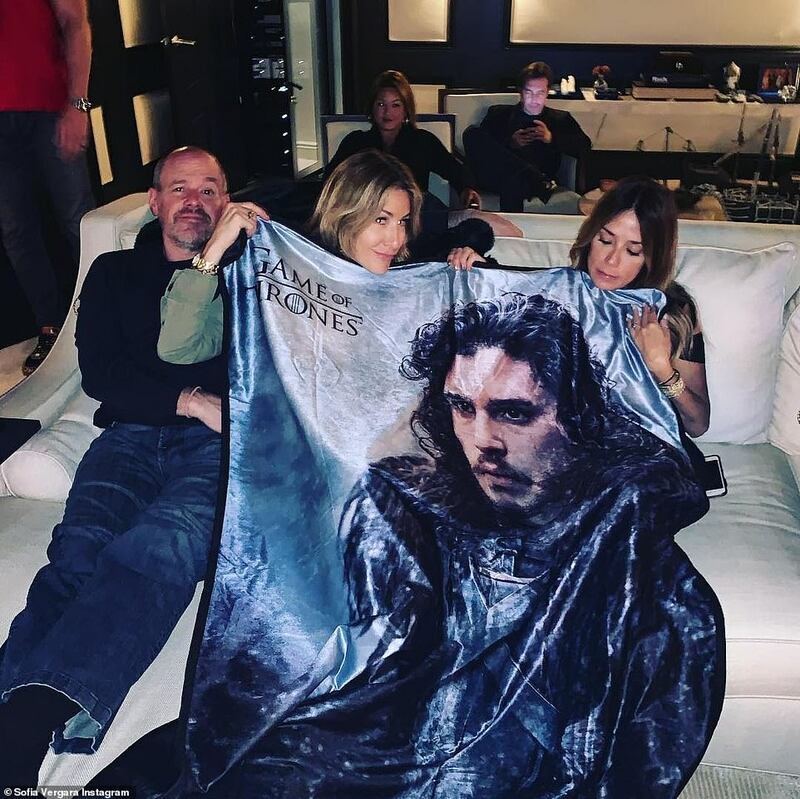 ‘May the best house win @GameOfThrones is back TONIGHT! 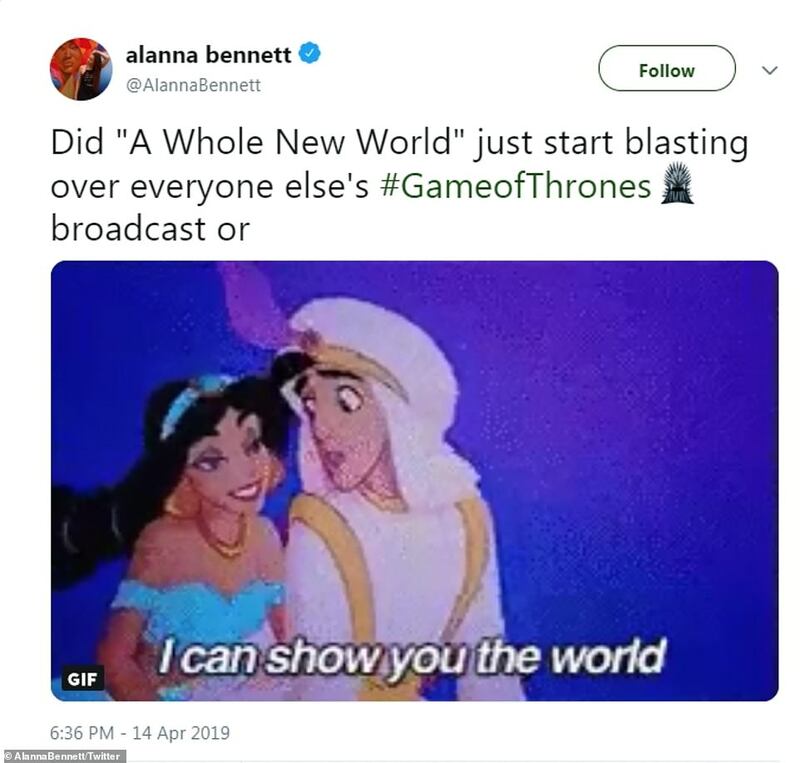 Who’s watching? 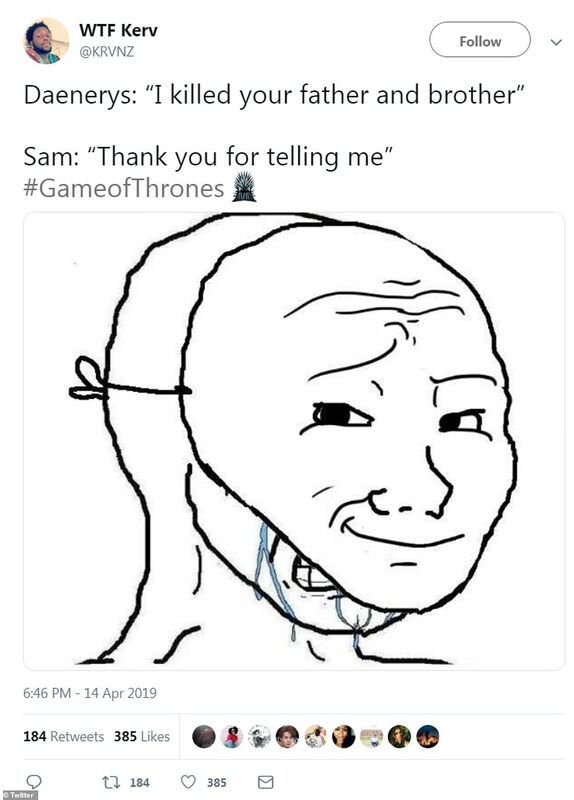 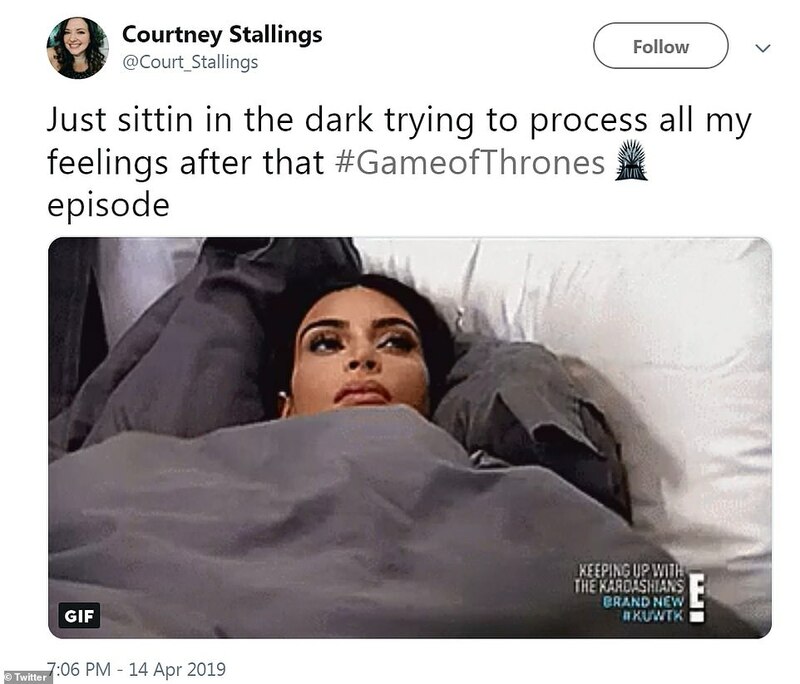 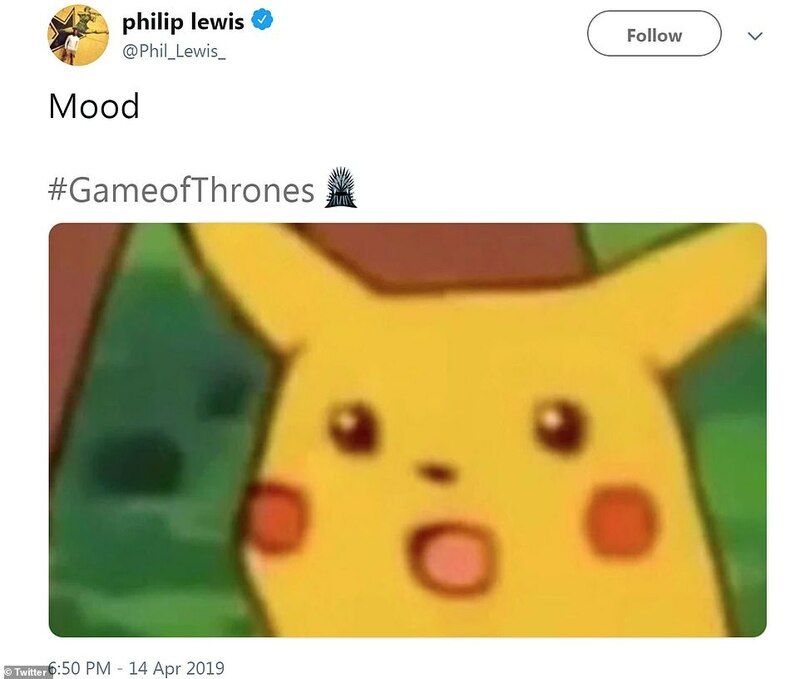 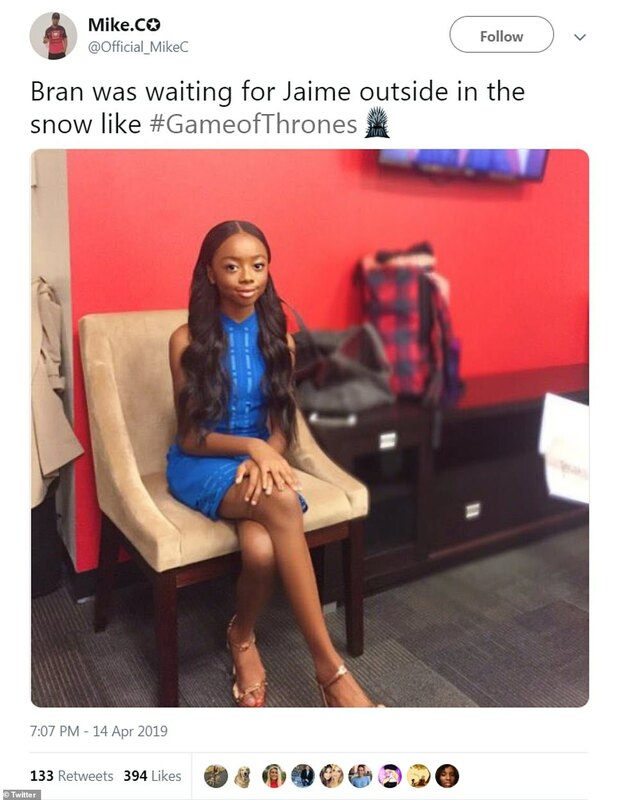 #ForTheThrone,’ she tweeted on Sunday. 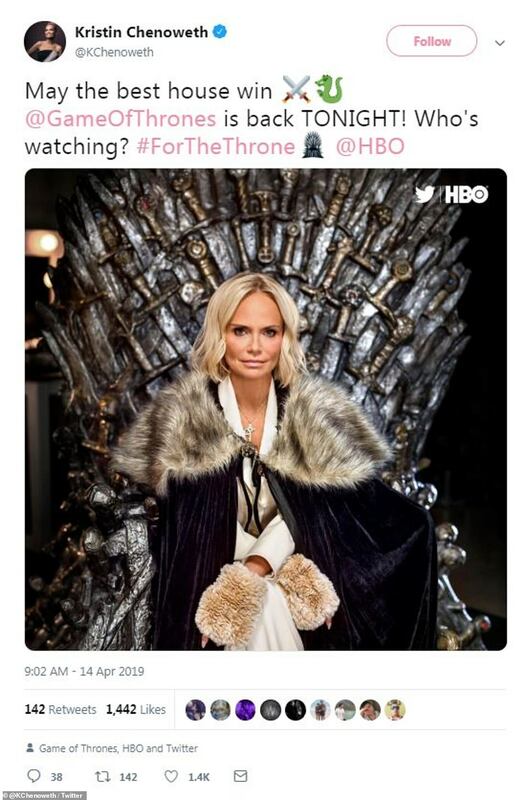 And it’s not just celebs gearing up for the premiere, popular eatery Shake Shack has been getting on board as well. 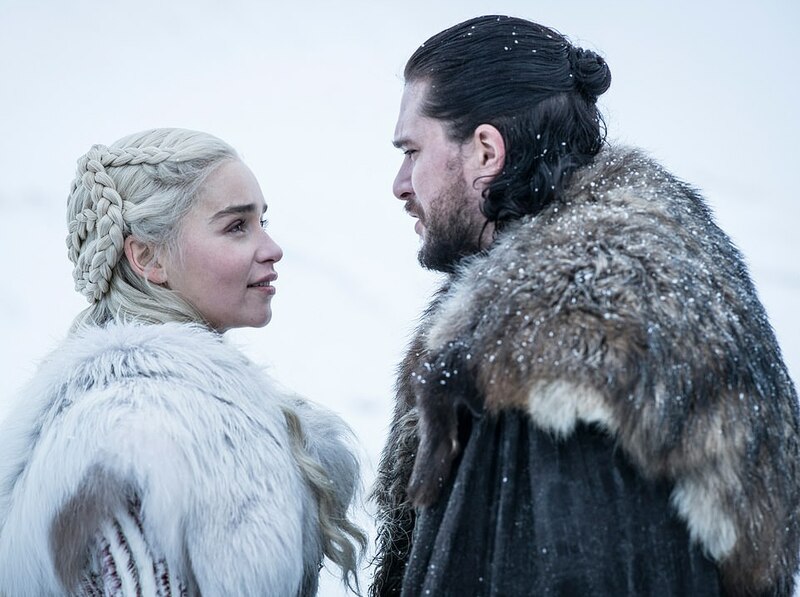 ‘Today the Dragonstone Throne popped up at the West Village Shack to celebrate the launch of our @GameOfThrones menu.,’ they wrote on Friday. 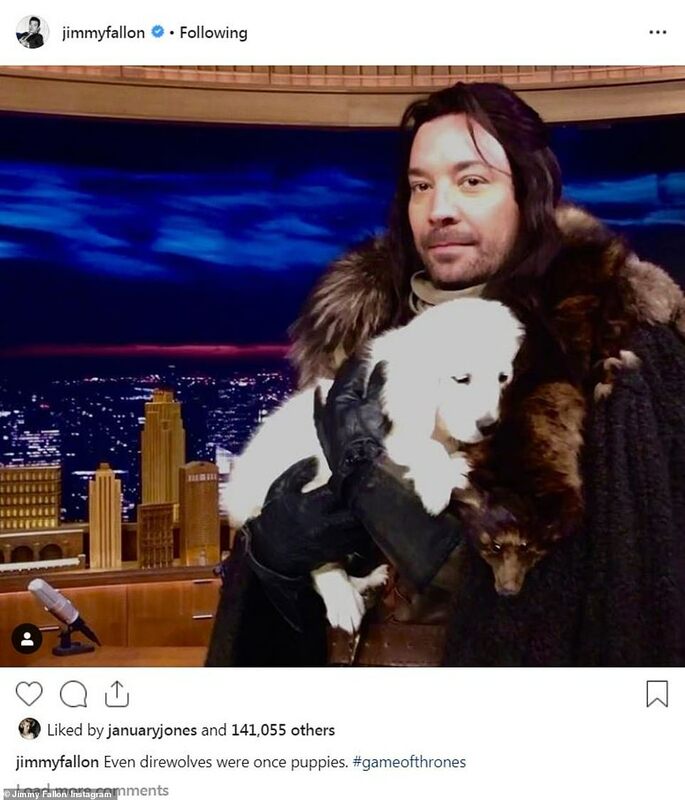 And The Tonight Show host Jimmy Fallon took to social media to share a snap of himself holding ‘direwolves’ while apparently dressed as the late great Ned Stark, who died way back in the show’s first season.